Brendan Clarke; Ger O'Brien, Darren Dennehy, Sean Hoare, Ian Bermingham; Lee Desmond, Keith Treacy (Graham Kelly 46), Conan Byrne, Mark Timlin (Darragh Markey 90+1), Jamie McGrath (Steven Kinsella 86); Christy Fagan. 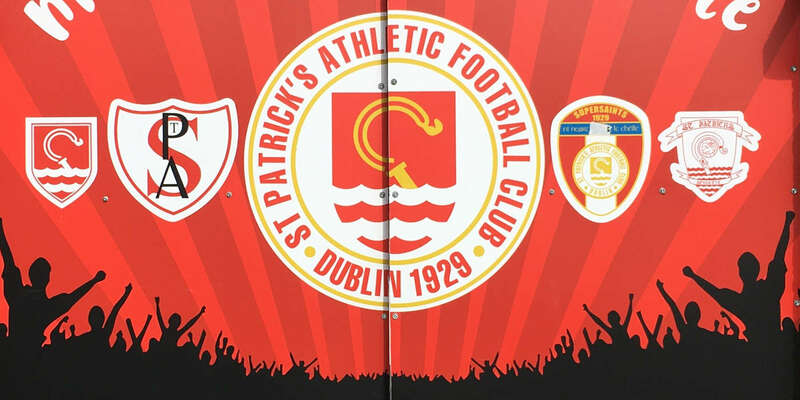 An inspired performance from goalkeeper Freddy Hall couldn't prevent St Patrick's Athletic from booking their place in the FAI Cup quarter-final with a 2-0 win over Limerick at Richmond Park. 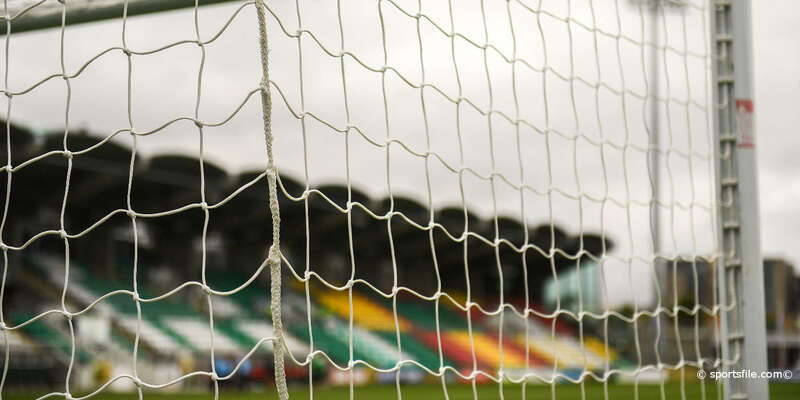 Conan Byrne's deflected shot on the stroke of half-time and a tap-in from Christy Fagan was enough to condemn Limerick to defeat in a dress rehearsal for next month's EA Sports Cup final. The First Division champions-elect arrived at Richmond Park full of confidence having yet to suffer a defeat in a senior competitive game in 2016, and Martin Russell's side began the game with commensurate swagger. The Blues controlled the tempo from the outset and created the first chance as Lee-J Lynch found a pocket of space in front of a retreating defence and drove narrowly over the bar from the edge of the box. Pat's defender Sean Hoare was at fault on the quarter-hour mark as he stepped over the ball for Brendan Clarke to collect only for Chris Mulhall to steal in between, but he turned the ball wide. Lynch again found himself free between the Saints defensive and midfield lines and he again went for goal, but his chip was never on target when Stephen Kenny was in a good position out wide. Eventually the home side came into the game and after referee Ben Connolly waved away what looked a clear penalty for Robbie Williams' foul on Jamie McGrath, the 19-year-old picked himself to square for Fagan, who was unfortunate to see his shot hit the bar. And two minutes from half-time, Pat's took the lead through Byrne as the winger showed sublime skill to take Ian Bermingham's cross-field pass on the run and cut inside the full-back Shane Tracy. Hall seemed to have Byrne's shot covered, only to be wrong-footed by a wicked deflection off the boot of Williams that took the ball spiralling into the Blues net. It was a lead they scarcely deserved, but the Saints finished the half much the stronger as Mark Timlin had a shot blocked before captain Ger O'Brien forced Hall into a full-stretch save on the whistle. The home side's confidence continued into the second half as Bermingham found space down the left and picked out Fagan, whose shot was blocked. Byrne, now determined to add to his tally, cut in from the right and struck left-footed from distance and Hall produced a wonderful one-handed save to put the ball out for a corner. Limerick's attacks were reduced to rare counters, one of which saw Kenny connect with Tracy's deep cross and force a routine save from Clarke. Hall was again on call as Timlin beat his man in the box and flashed a low ball across goal, which the Barbadian international did well to cut out. And Hall pulled off the save of the season to deny substitute Graham Kelly as another deflection forced him to change direction and get down low to palm the ball superbly to safety. 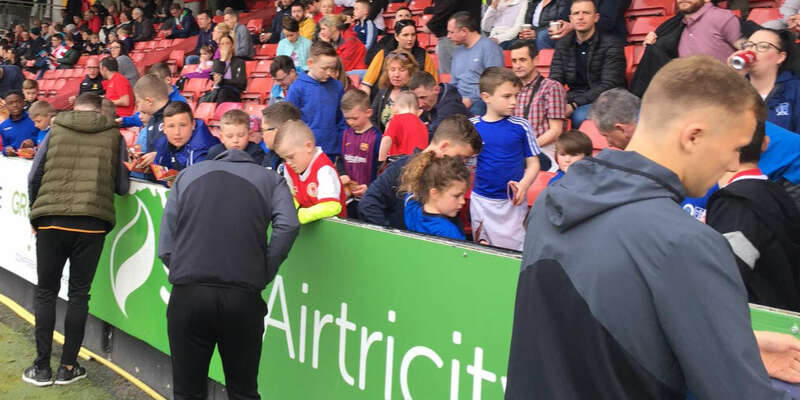 He was powerless to prevent the Dublin side from sealing the victory with 14 minutes remaining, however, as Sean Hoare rose highest to nod Timlin's corner back across goal, and Fagan had the simplest task to nod home from two yards. Byrne even had time to renew his personal duel with Hall as he rode two challenges in the box before shooting through a mass of bodies, but Hall stood tall to keep the score respectable. Paudie O'Connor had the chance to pull one back for Limerick in the dying minutes when he was presented with the loose ball from a corner, but he couldn't beat Clarke.